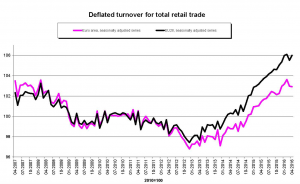 Eurostat, the statistical office of the European Union, has published recently the volume of retail trade in euro area: it registered a growth of 1.4 percent in April 2016 compared with April 2016. In the European Union, it increased by 2.4 percent. The countries with highest increases comparing with April 2015 were Romania (20.1 percent), Luxembourg (16.7 percent) and Poland (6.6 percent), while decreases were observed in Belgium (2.3 percent) and Germany (0.6 percent). If we compare it with March 2016, the trade retail volume remained stable in April 2016 although it rose by 0.5 percent in the EU. 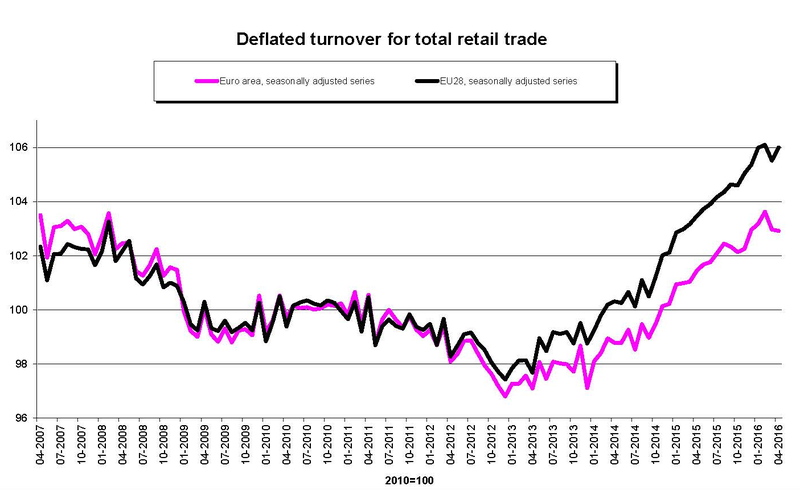 In this case, we found the highest increases in total retail trade in Denmark (4.5 percent), Poland (3.7 percent) and Romania (2.8 percent), while decreases were registered in Finland (1.2 percent), Germany (0.9 percent) and Malta (0.1 percent).